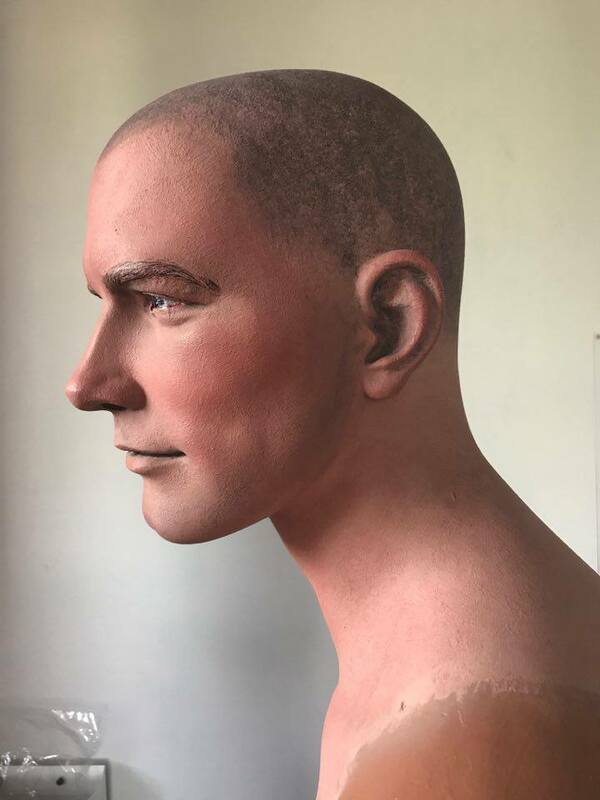 The mannequin is 180 cm tall and has a narrow posture. 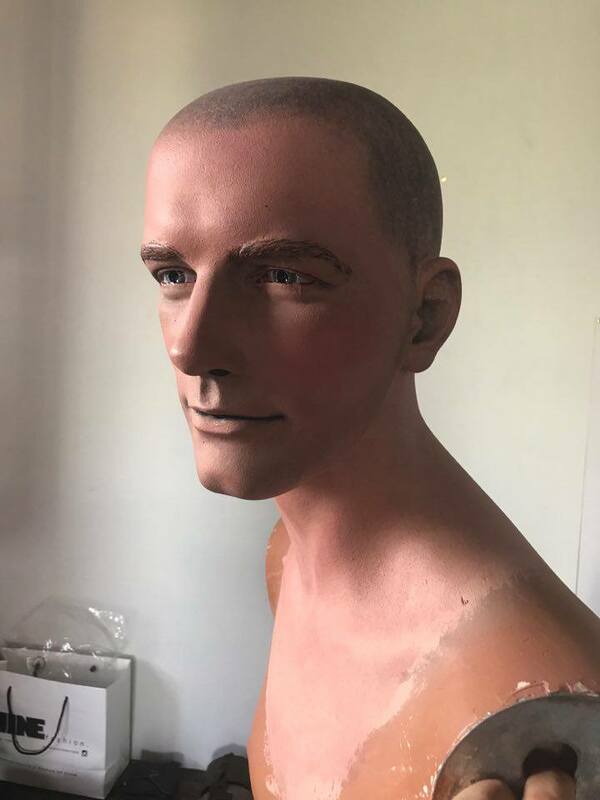 The mannequin is handpainted by me for a extra realistic collection display. A tough looking face with a small head size of 57 cm. A slim waist size (90 cm) works great for smaller belts. The right arm has been posed such with a fitting hand that it can hold the barrel of a rifle as can be seen in many original pictures. 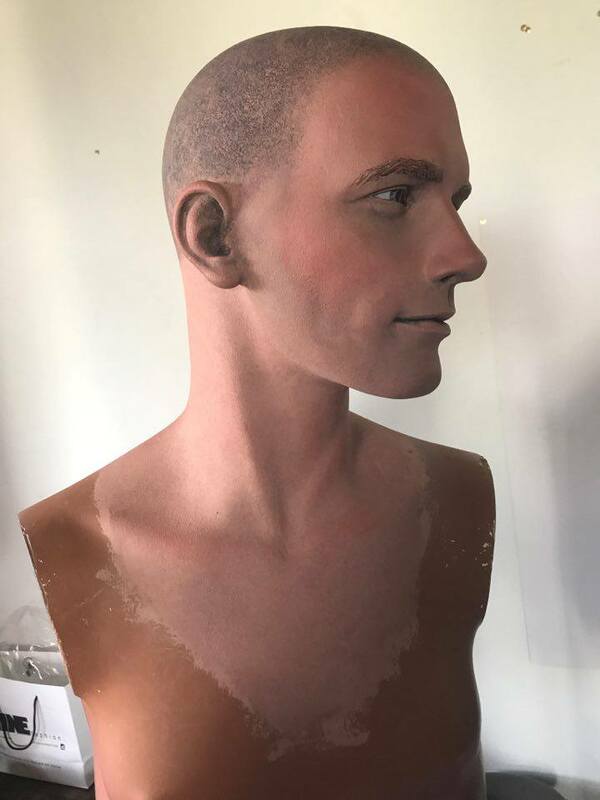 This mannequin has been used by me in my collection for little less then a year. 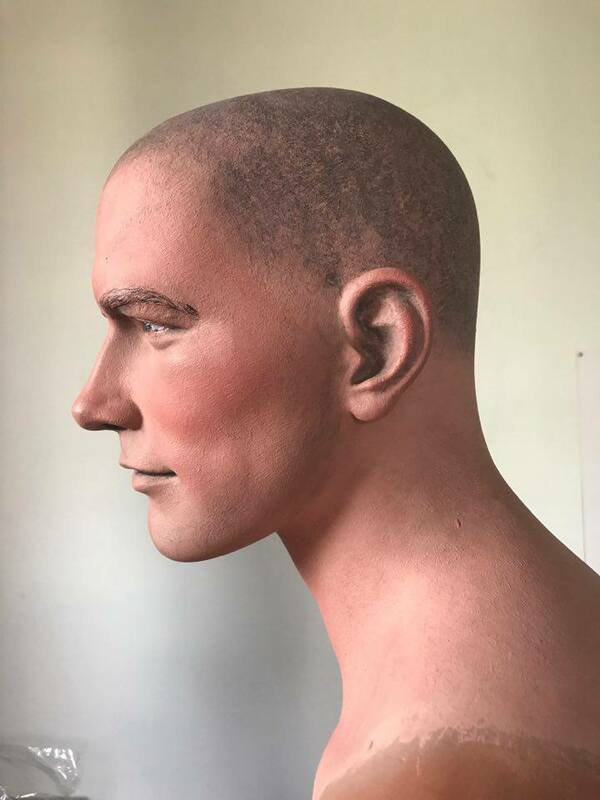 The mannequin costs 475 euro and works great for a display in your collection! The mannequin is pickup only, this is because I’m unable to locate a large enough box to ship it sadly. If you want to buy it simply order it through the webshop and I will contact you. Off course, the mannequin comes without clothing!